As a 1930s block is bulldozed, a luxury-apartment-complex rises. 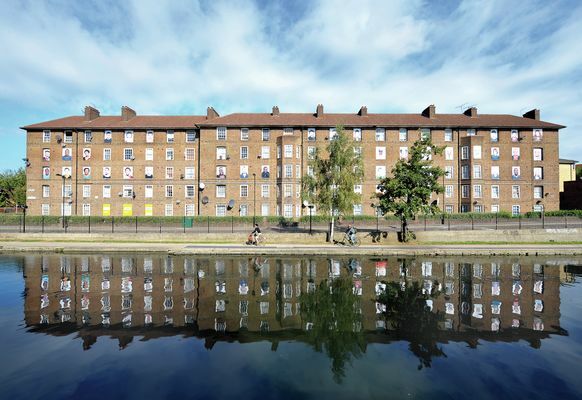 The film Estate tracks the passing of Hackney's Haggerston Estate and wider utopian principles of social housing, offering an unruly celebration of extraordinary everyday humanity. Challenging tired stereotypes, Estate interweaves intimate long-term observational footage with the residents' own historical re-enactments and dramatised reveries. The screening will be followed by a conversation with the filmmaker, the artists programmed and the audience about the questions of gentrification, regeneration, and place of the artists.